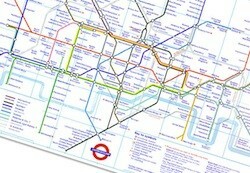 A big announcement arrived today if you live in or around London: to prepare to the onslaught of data-hungry visitors for the 2012 Olympic games that the city is hosting, 120 WiFi hotspots are being added to various locations along the Underground subway system's stations and platforms, in addition to other measures being taken to beef up tech. No WiFi will be in the actual tunnels, mind you, but it should definitely come in handy for all those tourists trying to find their way around the city. British Telecom has already tolled out a trial run at the Charing Cross station, with further installations expected in the lead up to the games. I'll immediately seize your rss feed as I can't in finԁing your emaіl subscription lіnk оr e-newsletter service. Do уou've any? Kindly permit me realize so that I may subscribe. Thanks. thіs time mе also сommenting at this place.